Summer is here and Not Usual is back on SNOE with an immensely energetic EP! The title track has a rolling bassline and pushing percussions that turn Faya into an addictive dance floor bomb. 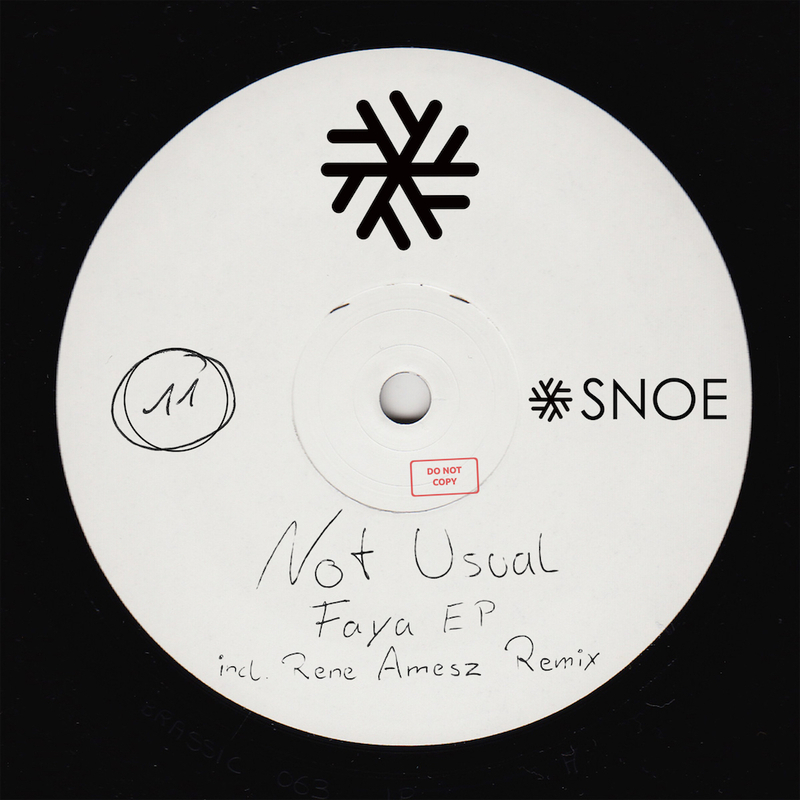 Dutchman René Amesz is joining the SNOE family with his outstanding remix of Faya, showcasing his well-known style consisting of unique, dirty cuts, a distinctive groove and fresh sounds. Pression rounds it up perfectly with a simmering feeling of constant drive through a piercing synth, powerful drum work and the underlying vocals.